Ayad Akhtar is the author of numerous screenplays. He co-wrote and played the lead role in THE WAR WITHIN, which premiered at the 2005 Toronto Film Festival. Also a playwright, his latest stage play, DISGRACED premiered in Chicago at the American Theater Company in early 2012, and headed to the Lincoln Center in the fall of 2012. 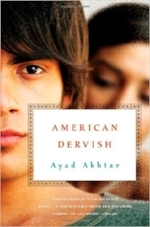 AMERICAN DERVISH, his first novel, was released in 22 languages worldwide.